'Wynyard Commons' is a new open space at the geographical heart of the Wynyard Quarter. 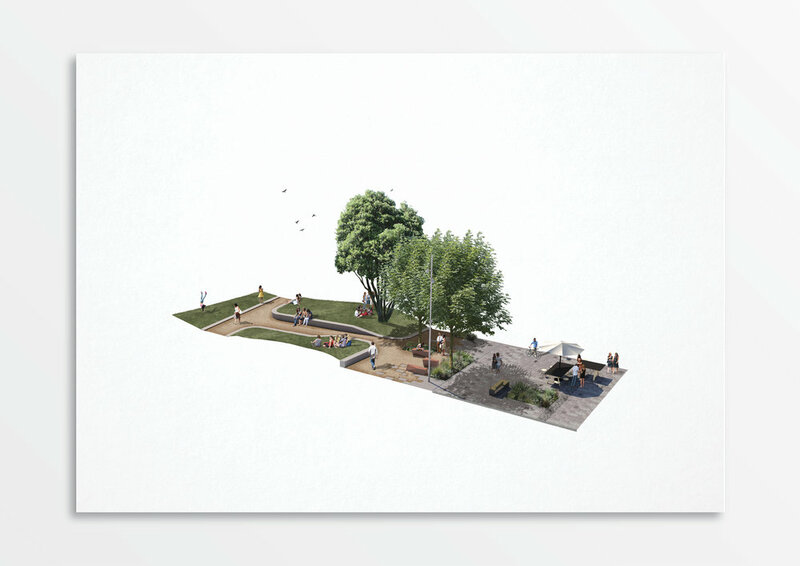 It integrates social infrastructure, low impact design and a 'designed topography' into a contemporary urban park that establishes a new 'backyard' for the precincts anticipated and emerging residential and working populations. 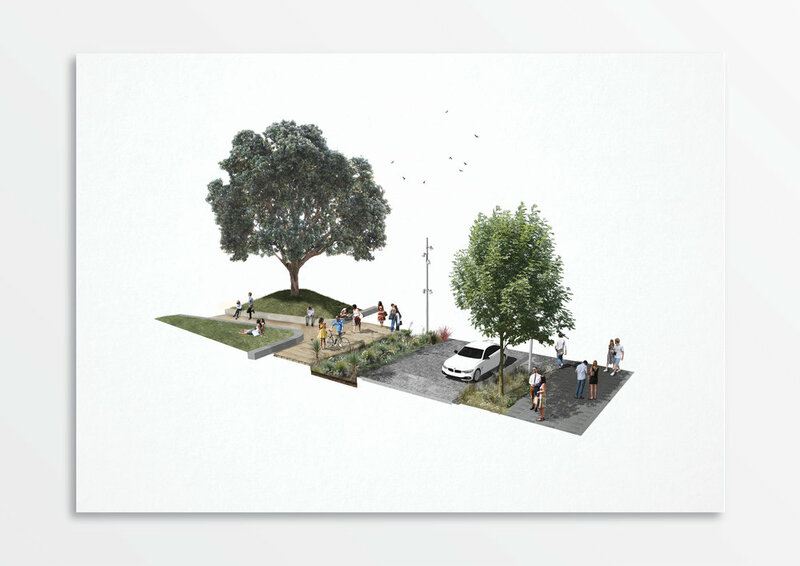 In contrast to existing highly programmed, urban and water’s edge spaces the design concepts for the Commons seek to unify the park and surrounding streets via a single connecting, building to building shared surface ground plane (a carpet of basalt) that establishes pedestrian priority, disrupts the street network and creates a space you move ‘through not past’. Low impact design strategies are integrated with the adjacent Daldy Street Linear Park green infrastructure network. A sophisticated park topography - that recalls the former underlying sea bed geology - accommodates a range of passive and active recreational and event programs that support and adapt to the requirements of this new urban community. An integrated and supportive place-making strategy will enable the park edges and activities to evolve over time. Significant enabling infrastructure is integrated throughout the park including a Watercare pump station wrapped within a sculptural cylindrical pavilion that references the sites tanks, silo’s and industrial archaeology. The project continues the Panuku traditional of international best practice sustainability and design innovation through a place-based and design-led process. Strategic activation and placemaking strategies will enable the park to be delivered and evolve over time.